Our friends at Elsevier, a global information analytics business based in Singapore, joined us on 28 and 29 March for a “Challenge Day” to support School building and Child Development Scholarship Programme of saigonchildren in Tien Giang and Hau Giang provinces. Challenge Day is an exciting event in which our generous donors are able to witness first-hand the impact of their kindness. The sites are normally in rural areas, where children in Vietnam sometimes do not have access to a proper education. They often participate in activities such as building or renovating schools and creating playgrounds or bookshelves to create a better educational environment for the children they are supporting. Elsevier, a global information analytics business based in Singapore, joined “Challenge Day” to Tien Giang and Hau Giang provinces. 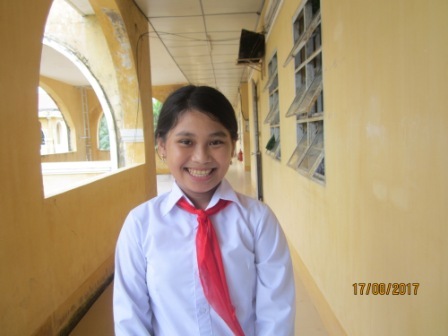 For this Challenge Day, the Elsevier team met with Grade 4 and 5 students on 28 March at Tan Hoa Dong primary school in Tien Giang. They participated in a Cajuput bark art workshop and helped students plant bean sprouts and learn about the process of growing them for food. 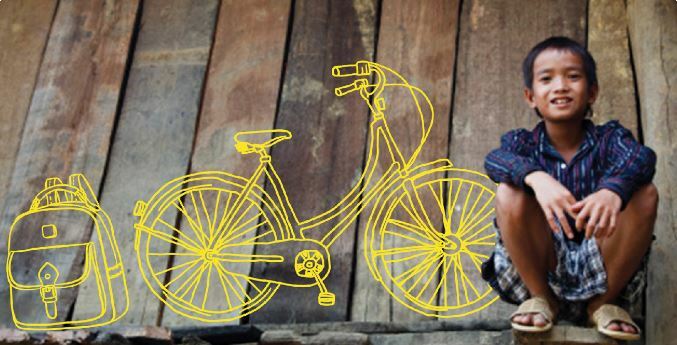 After these activities, Elsevier gave bicycles to 6 students who live far away from school so they do not have difficulties in arriving at school on time. Tan Hoa Dong primary school’s students plant bean sprouts and learn about the process of growing them for food. Elsevier gave bicycles to 6 students who live far away from school so they do not have difficulties in arriving at school on time. On the 29th, they went to Hau Giang to put their strong muscles to work! All morning they worked hard painting the fence surrounding Hiep Hung kindergarten to create a new playground and keep children safe at Hiep Hung kindergarten. After the tiring work of the morning, they were able to rest and have lunch. But not for long! Many activities were planned with the children in the kindergarten such as a memory game, colouring, and a dance workshop in which the Elsevier team taught the children some fun dance moves. Elsevier team was painting the fence surrounding Hiep Hung kindergarten to create a new playground for the kids.